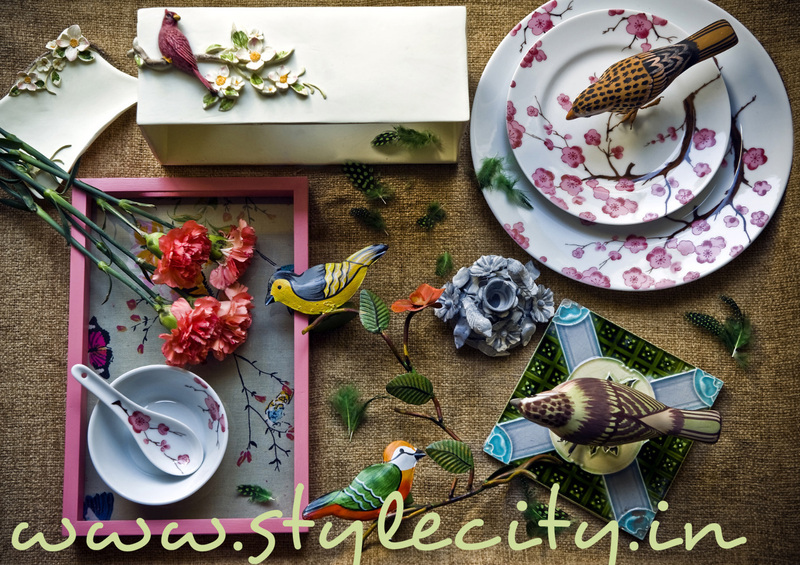 This spring why don’t you introduced Bird motifs and feathers into your decor scheme. Bird prints are seen as cheerful and springy and are no longer restricted to just children’s rooms decor. As for feathers, they were seen all over the ramp and are also being seen on various decor accessories like lampshades and cushions. So why don’t you bring these feathery friends into your living space. Posted on February 26, 2013 August 20, 2016 by AparnaPosted in Decor, Design, Portfolio, Shoots, TrendTagged Accessories, Bird, Cartier, decor, design, Feather, Home and Garden, Lifestyle, Trend. So pretty. Love that tray and the cappuccino cups. Great picks.